Every month, business landlords around the world collect rent from their business tenants and it’s been that way ever since Biblical times (although the amounts and even the currency have changed.) But sometimes, a business tenant will just stop paying rent for any number of reasons. Such is the case concerning a recent matter from the Dean Sperling Law Case Files. In this case, basically we have a simple landlord/tenant dispute and the lease in question had a personal guaranty. 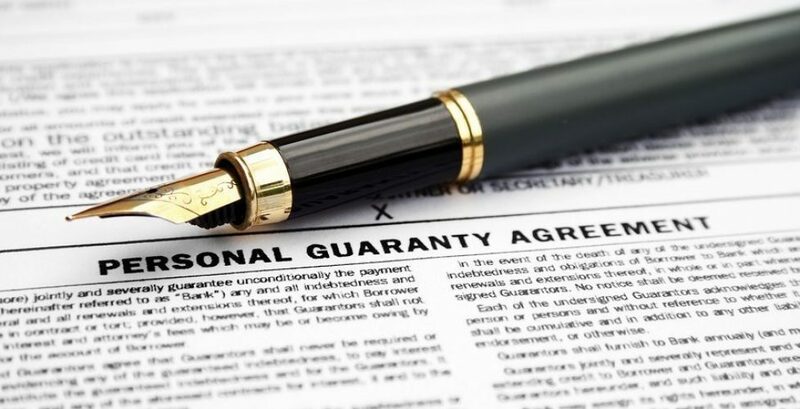 A “personal guaranty” of a lease is a promise from a “guarantor” (typically, the owner of the business) that in the event of a breach of the lease, the guarantor will make good on the tenant’s promises. For example, if the tenant fails to make rent, the landlord can sue the guarantor to collect the rent. Ok, so the tenant in question stops paying rent and the small landlord (Sperling Law’s client) actually provides some rent relief with an amendment to the lease. Dean sends out a demand letter, which is ignored by the tenant (and keep in mind this is a mere $25K matter at this point). Next, Dean serves the husband and wife (tenants) on the basis of the personal guaranty. Here’s where the plot thickens. The tenant’s lawyer contacts Dean and asks for an extension. Dean grants it in exchange for a good faith settlement offer in order to move this matter towards resolution. But then, the opposing counsel asks for ANOTHER extension (15 days) and sends a letter filled with inaccuracies about the case and misunderstandings of the lease itself and the law surrounding these types of cases. So now this attorney has lost all credibility with Dean and his client and Dean continues with the lawsuit for all of the owed rent money (backed by the personal guaranty) as well as attorney’s fees. (Note: this is how small matters become large ones.) And the opposing lawyer has now sabotaged all of his ability to resolve the case early for his client. In Biblical times, this would call for a stoning or something equally brutal but these things take longer now. The result will be about the same though. We know that landlords have been trying to collect rent from tenants since ancient times, and we can be sure that there have always been disputes about it. When those nasty things like landlord/tenant matters, contract disputes and even collections disrupt YOUR business, call on Dean Sperling, a litigator who isn’t afraid to get “Biblical” on opposing counsel and their clients to resolve YOUR matter with YOUR best interests in mind. Why Do I Need a Personal Guarantee for a Commercial Lease?